Why We Need Dubai Visa? All we know that visa is a primary license to enter or stay for a temporary period in the any country on the globe. That’s why, it is the duty of every Dubai visitor to obtain a visa prior to travel. 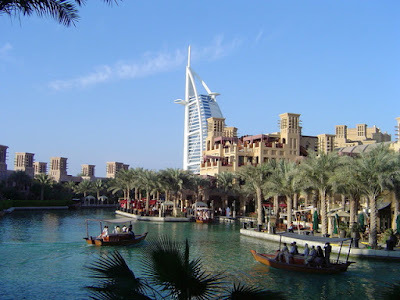 The UAE Online Visa is the proper way to get your Dubai visa with reasonable rates. They believe in delivering high quality services to their customers. Within a 3 to 4 days of working, you will accept your visa to Dubai. How Your Dubai Visa Is Develop? Your complete visa development process generally belongs to the country that you belong. It is very simple to receive a Dubai visa. Just follow 3 easy steps carefully and acquire a visa. Ok To Board is a condition applicable for the local people of India, Bangladesh, Sri Lanka and Nepal. The UAE immigration observed that many travelers from these nations visited to the country with illegal visa. Therefore, to block the entry of traveler with illegal visa, they introduce Ok To Board service. It is very easy to obtain an OTB stamp on your Dubai visa. Send your valid visa copy to the airline for verification. The airline identifies all your info and mark your visa with OTB status.